Ticks and fleas can be a big annoyance for both your dog and yourself. Nobody want to see their dog scratching itself all the time, and you definitely don’t want to deal with the fleas and ticks yourself. These pests may seem like an inevitable nuisance, but they don’t have to be. With just a little knowledge and some key materials, you can provide a tick and flea-free home for both you and your pets. There are actually several reasons to protect your dog from fleas and ticks. The first one that probably comes to mind is all the scratching your dog deals with. It’s also very undesirable to deal with them in your home yourself. Unfortunately, that’s not anywhere near the most important reasons. Fleas and ticks carry illnesses that can be very harmful to your dog. Canine Lyme disease and various worms are just a few, but let’s focus on Lyme disease for a moment. Lyme diseases is caused by deer ticks that latch onto your dog for several days. After about the second day, the risk of infection is high. Dogs that contract Lyme disease will experience pain in their joints from inflammation. 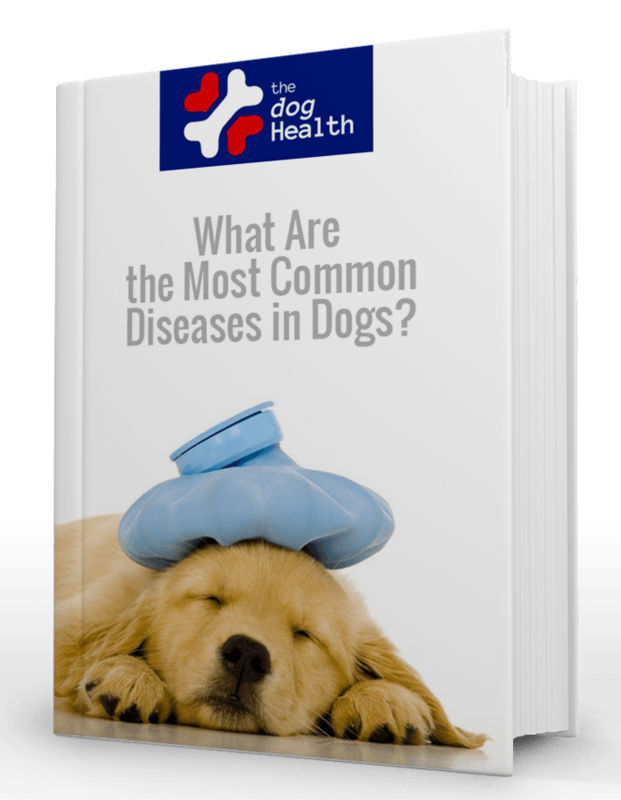 As a result, your dog will seems disinterested in activity, and show obvious signs of discomfort. Other symptoms and signs of Lyme disease in dogs can include fever, lack of an appetite, difficulty walking, swelling in the lymph nodes, and sometimes even heart and nerve issues. As for fleas, they can cause a high level of discomfort in your dog, mainly as a result of the itching. Fleas can also carry round tapeworms, which harms your dog’s intestines and causes pain and itching in their rectal areas. During warmer months, you should be checking your dog for ticks constantly, especially if your dog has been around tall grass, where ticks love to hide. The longer a tick has been attached to your dog, the bigger the risk is for your dog contracting a disease. Ticks bites on dogs are always to be taken seriously. Because of this, action should be taken immediately to remove the tick from your dog. There are plenty of household remedies floating around out there, but the truth is that there is only one real safe and effective way to remove a tack from your dog (or even yourself for that matter.) Here’s how. Begin by putting your gloves on. Make sure your dog is calmed down, and properly restrained so as not to move suddenly. This could cause big problems when trying to safely remove the tick. Continue by positioning the end of the tweezers over the tick, and as close to your dog’s skin as possible without pinching. Grab ahold of the tick, being careful to not squeeze it. Gentleness is key. Use consistent and steady pressure, and slowly pull the tick out in a straight motion. Again, be sure to not squeeze or twist the tick. The goal is to keep it completely intact. Squeezing the tick could cause harmful fluids to enter your dog as well. Once you have removed it, carefully examine your dog’s skin to be sure that you haven’t left any pieces of the mouth or head embedded in the skin. If so, a trip to the veterinarian is in order. Place the tick into the container, and place rubbing alcohol on the tick to kill it. Once the tick is dead, keep it in the container for a few days while observing your dog for any signs of illness. If your dog is sick, bringing the tick to the vet will allow them to test it for diseases. Now that the tick is off, use your disinfectant wipes to clean the area where the tick was attached. Be sure to reward your dog for being good during the process! This will also help your dog to be calm if the situation arises again in the future. Now that we’ve covered ticks, it’s time to move on to getting rid of fleas. Fleas multiply rapidly, and can infest both your yard and home itself. If you find fleas on your dog, it’s best to go ahead and take action on both of these areas, and on your dog as well. A holistic approach is the only way. Getting the fleas off your dog is probably the easiest part. Giving your dog a bath with medicated shampoos can help to rid of the current fleas, and also kill the eggs depending on the brand and type. You can also kill the fleas by simply have your dog lie down or stand in water for a few minutes. The fleas will drown and fall off your dog. Follow this by getting your dog a good flea collar to wear, and also topical medications that prevent and kill future fleas. This is crucial to prevent future and ongoing flea problems. There are several ways you can address the fleas in your home, but the best course of action is to kill the eggs, as fleas can lay a massive amount of eggs in a short amount of time. This should be done by first vacuuming the areas where you suspect fleas to be residing. If your dog lays in its own bed, wash the bed. If it sleeps in your bed, wash all the sheets. After vacuuming, discard the bag, or spray the inside of the reusable receptacle with disinfectant. After doing so, spray the areas down with a quality flea killer that kills both fleas and eggs. Pay close attention to baseboards and corners. This is where the infestation likely began in the first place. You have few options, but really only two that are reliable. The first option is to flood your yard with water. This kills the current fleas, and also disrupts the hatching cycle of the eggs that are laid. This method is the easiest and most resourceful, but requires a lot of water, and can take quite a bit of time to pull off. Your other main option is to simply us an insecticide formulated for fleas. The downside to this is the health risk of your dog, or having to wait a long period of time to allow your dog to use the yard. You can elect to use either a spray version, or time-released granulated versions that are often considered to be safer for your dog. Taking steps to prevent infestation before it takes hold is always the best method. In the warmer months, always be sure to keep your yard mowed regularly. This discourages fleas and especially ticks from taking up residence. Regular flea and tick baths help to fight the battle as well. Flea collar and topical medicines have made significant strides over the last decade, and can be largely depended on to prevent infestations and diseases in your dog.